Hereditary Cancer is caused by mutations in genes passed down by generations. These mutation can significantly increase the chances for future cancer. OBGYN West offers Hereditary Cancer Screening to screen for these mutations and provide patients a risk analysis. If you have a family history of cancer please take a short quiz to see if you are at risk. 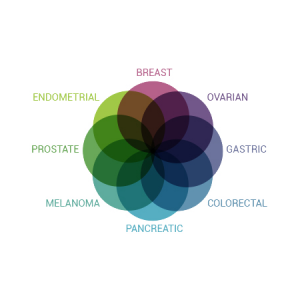 Myriad myRisk is a 28-gene panel that identifies an elevated risk for hereditary cancer. This screens for various cancers such as breast, ovarian, colon, and uterine (endometrial). Myriad myRisk captures more mutation carriers than BRACAnalysis and COLARIS combined. Contact us today for a comprehensive array of women’s healthcare services! !